Remembering our nation's heroes this Memorial Day...and STORIS, too. This Memorial Day weekend, we want to pay tribute to the memory of all of the men and women of the U.S. Armed Services who have made the supreme sacrifice for our country. Bless you all. No words are fully adequate to thank you and your families for your service and sacrifice. We will pause to remember you this weekend. We also recognize this Memorial Day as the first in over 70 years that there is no more STORIS. Her memory and legacy will live on in the hearts and memories of all who served and cared about her. STORIS will never be forgotten even as she was forsaken by the very government that she and her crews so faithfully served over six decades. 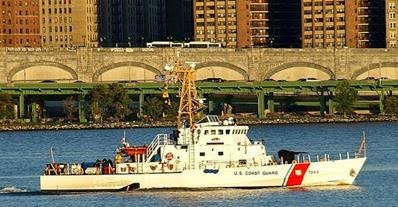 The former USCGC ACUSHNET is back on Ebay. Now the price has dropped from $10 million to $1.1 million and the seller is demonstrating some desperate motivation in his verbiage about selling the ship ASAP. I would certainly hate to see her lost like STORIS. This is sickening that the government allowed her to be put in this situation. We already know what the Coast Guard, GSA, EPA and MARAD teamed up to do with STORIS. Coast Guard and GSA get the blame for ACUSHNET. Ignored her history and disposed of her illegally through GSA instead of MARAD as required by federal law. It's doubtful that she is truly "PCB-free" as described by the Coast Guard. There aren't very many of these classic warriors around to save anymore. The "Ask the Seller" section speaks volumes about the travesty about this situation. These crazy, hair-brained suggestions about using her for the set of a horror movie or as an oil-drilling ship only reinforce a total lack of understanding and respect for ACUSHNET and the potential for destruction for the ship's physical and historic integrity. This is a ship that is easily eligible for listing on the National Register of Historic Places and likely a National Historic Landmark, but she has to stay intact for this eligibility to continue. ACUSHNET has a historic pedigree second only to STORIS and STORIS is now gone. Again, thank you U.S. Federal Government. Also, although she served in Alaska, she is NOT ice-rated. According to an ACUSHNET vet's posting on that FB page, that was one of the reasons why so much money was poured into ACUSHNET in 2008 after she threw a wheel. 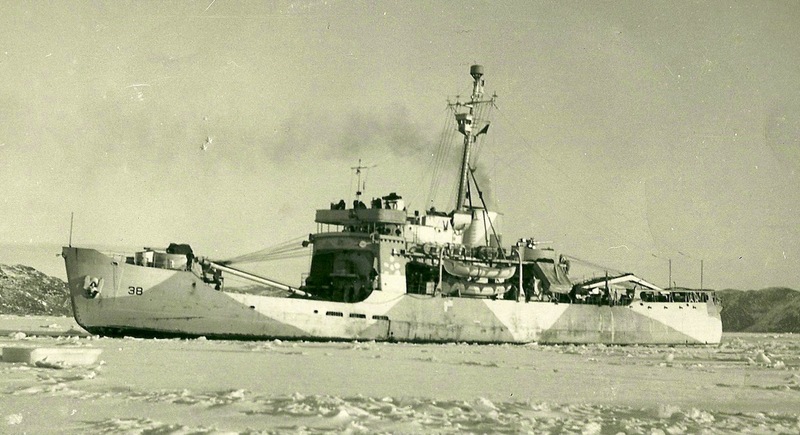 Someone from Alaska's Congressional delegation wanted the ship to stay in service for a couple more years because there was no immediate replacement coming and whoever it was thought ACUSHNET had the same ice capabilities that STORIS did, which she most certainly does not. The appeal for the April 16 FOIA release from the EPA has been submitted. There are known documents that were not released in the FOIA request. There are also several key questions related to the disposition of the ship's electrical system. EPA claimed in the April 15 release that there were no import permits for the wiring to come back into the U.S. yet a reporter I spoke to said that she was told by the Mexican government that the electrical system was being sent back to the U.S. for recycling. Why would the most valuable part of the ship be sent back to the U.S. unless there was some kind of contamination such as the PCBs that we strongly suspected were there? The appeal also requests the release of the redacted and withheld documents EPA kept back. If they didn't do anything wrong, why keep the documents back? The executive deliberation privilege also has to be justified in withholding documents, so EPA has to do that, as well. 110-foot WPB for sale through GSA. Where will she go? Another cutter is for sale through GSA. This time, the tonnage of the 110-foot BAINBRIDGE ISLAND (WPB-1343) correctly falls under disposal through GSA. It's also unlikely that there are hazardous materials on board because of the build date. As this is posted, the price is already $100K, $30K more than what STORIS sold for in June 2013. STORIS was in excellent condition and while not as fast, had much more capability than this 110. STORIS' displacement made her disposal legally mandated through MARAD, not GSA. She also likely contained hazardous materials that would have made her disposal and sale from the Coast Guard illegal, as well as her export. As a U.S. military ship, STORIS should not have been exported for scrapping. In the end, GSA practically gave STORIS away to be illegally exported for scrapping in Mexico. For what GSA received as a pittance for payment, STORIS could have been donated to the STORIS Museum and Last Patrol Museum to reap cultural and economic benefits far beyond what the government received. The Coast Guard refers to aspects of BAINBRIDGE ISLAND as historic. While she did start her career as the first cutter to have a minority female as CO (now Capt. Katherine Favery Tiongson), BAINBRIDGE ISLAND is not eligible for listing on the National Register of Historic Places as she is less than 50 years old and is not otherwise exceptional in construction or accomplishment to justify listing on the Register. STORIS was listed as nationally significant on the National Register of Historic Places. Despite having two viable nonprofits seeking custody of STORIS for preservation and use as an active museum/training vessel, the Federal Government sold STORIS at auction for a mere $70,100 to a so-called "metals recycling" firm that spent the rest of the summer of 2013 unsuccessfully trying to extort from the nonprofits up to five times what was paid for the ship. The buyer, U.S. Metals Recycling of San Diego, did not have the necessary facilities to scrap the ship domestically and had to resort to illegally exporting the ship to Mexico in order to make what could only have been a razor-thin profit by taking advantage of lower labor costs and lax environmental regulation in Mexico. Where will BAINBRIDGE ISLAND go? Will this U.S. military ship go to scrap overseas in violation of Section 3502 of the 2009 Duncan Hunter National Defense Authorization Act? Will the U.S. Government again break the law they put in place to prevent our American military ships from going to lesser-developed countries for breaking? The illegal export of STORIS and the complicity of the four federal agencies responsible -- USCG, GSA, EPA and MARAD -- are discussed again in an editorial written by Denise Rucker Krepp and published by gCaptain. The comments mirror those delivered at the MARAD symposium last week in regard to foreign shipbreaking. On Tuesday, May 6, the U.S. Maritime Administration held an event called National Maritime Strategy Symposium II. This was held at the U.S. DOT Headquarters. The purpose of the public MARAD/MTSNAC meeting was to identify domestic maritime opportunities that can be incorporated into a National Maritime Strategy to guide public and private Marine Transportation activities into the future. The results of this second symposium will be considered along with those from the January 2014 symposium to help shape the National Maritime Strategy being developed by MARAD. At the Tuesday MARAD symposium, former MARAD Chief Counsel Denise Rucker Krepp addressed issues related to shipbreaking, including the deplorable conditions in overseas scrapyards like the operations at Bangladesh, profiled in the May issue of National Geographic magazine, the posts of which were shared here on April 23. And once again, as she did at the March 12 U.S. Coast Guard Shipping Coordinating Committee Meeting, Ms. Krepp spoke of the illegal sale and export of STORIS for breaking in a Mexican shipyard. This was discussed within the context of ensuring that U.S.-flagged vessels are responsibly dismantled and recycled in U.S. facilities. This protocol helps guarantee that hazardous materials are properly contained and disposed of following the high standards established through U.S. Federal Law rather than being exported to a lesser-developed country with less effective environmental regulation. It also ensures that the associated jobs that are created through the domestic scrapping programs aren’t outsourced to foreign scrapping facilities like those in Bangladesh, where worker and environmental safety considerations are nil. U.S. ships are commonly reflagged to facilitate this kind of export. There is no indication that STORIS was reflagged for export, but as a U.S. government vessel, there are other considerations. “…The U.S. domestic recycling facility encourages MARAD to promote the use of domestic recycling facilities in lieu of those in Bangladesh and similar countries. U.S government vessels should be scrapped in the U.S. It's the law. Section 3502 of the 2009 Duncan Hunter National Defense Authorization Act requires all U.S. government vessels to be scrapped at U.S. metal recycling facilities. See http://www.gpo.gov/fdsys/pkg/PLAW-110publ417/pdf/PLAW-110publ417.pdf. Sadly, the law isn't being followed consistently. Last fall, the General Services Administration allowed the USCG STORIS to be exported from the Suisun Bay fleet to Mexico for scrapping. FOIA’d documents since released, show that despite warnings to the Environmental Protection Agency, General Services Administration (GSA), and the Coast Guard prior to releasing the vessel, no federal agency, including MARAD, was willing to stop its departure. A group of dedicated maritime preservationists had tried to work with the Coast Guard and GSA to turn the STORIS into a museum ship, but they weren't successful. While Ms. Krepp has a professional obligation and primary consideration for her representation of the domestic ship recycling facilities operated by EMR/Southern Recycling, her acknowledgement of the efforts to preserve STORIS for use as a maritime museum are appreciated. As a former U.S. Coast Guard officer, Ms. Krepp would understand and appreciate the importance of STORIS and her history. These comments read into the record for the event are a permanent official recognition of the complicity of the U.S. Coast Guard, General Services Administration and the Environmental Protection Agency (as well as MARAD, as physical custodians of the ship following her decommissioning) in allowing STORIS to be exported. It was also Ms. Krepp that has pointed out that the excessing and sale of STORIS was illegal under 40 U.S.C. 548 because the ship’s displacement exceeded 1,500 tons. I encourage you to take the time and read them. There are a couple additional memos related to the ship’s sale, but the remainder of the documentation discusses the excessing and disposal of the ship through GSA (which we know now was a violation of Federal Law) and the associated deadlines. 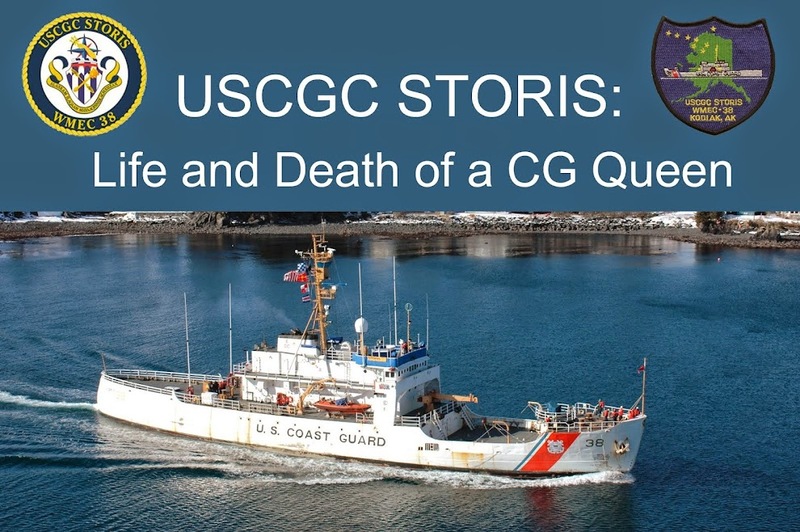 The tone and content of the messages seem to indicate that the Coast Guard was only concerned about getting rid of STORIS and had no concerns or interest whatsoever in preserving the ship. This is contrary to the expressed position from Admiral Papp himself to Judith Bittner, the State Historic Preservation Officer for Alaska. 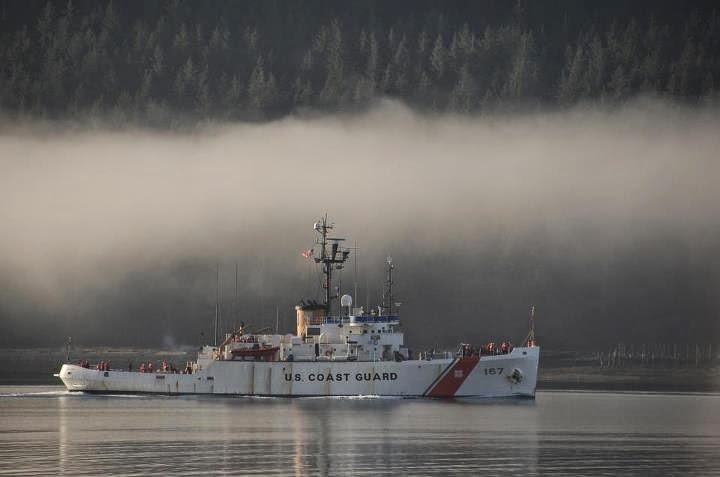 I was told by Deputy SHPO Jo Antonson that Papp had discussed the preservation of the ship with Ms. Bittner at an event to honor Coast Guard history in Alaska that was held in August 2012 (click for link). I was told that Admiral Papp had personally expressed positive support to Ms. Bittner for saving the ship. What a farce. The CG was only hanging on to the ship because of the Congressional request to hold the ship while a possible legislative donation could be worked out (which never took place thanks to petty politics.) This hold was to be through the end of the 112th Congress. Apparently the rent for the SBRF ranged from $30K to $51K a year for storage. Again and again throughout the correspondence, the Coast Guard insists that the ship was free of encapsulated PCBs above the regulated levels of 50 parts per million, despite the fact that there is no supporting documentation to prove otherwise and the only document provided by the Coast Guard has the brief statement claiming the ship to be free of regulated PCBs was redacted. The correspondence states the ship was eligible for domestic disposal through GSA. The key words there are “domestic disposal.” The Coast Guard knew the ship shouldn’t go out for foreign disposal, particularly since it is stated in more than one place in the documents that the Foreign Military Sales Office was not interested in STORIS. The ship should not have been excessed and sold through GSA and she ultimately ended up in a foreign scrapyard, a violation of section 3502 of the 2009 Duncan Hunter National Defense Authorization Act. It’s against the law for U.S. Military vessels to be dismantled in foreign scrapyards. There is also verbiage in the packet on Page 17 (originally pg. 64 of the CG PDF) that essentially lays out the need for the CG to get rid of the ship prior to the 2014 election cycle because Mark Begich would be up for re-election and would use the ship as a means of gaining favor with his constituents for re-election. So the CG wanted to get rid of the ship through GSA beforehand, possibly transferring the ship to the State of Alaska (or Ohio as was pointed out in another memo). That obviously did not happen. There are deficiencies within this release of information, as there is correspondence that I know exists that would have been covered by the FOIA request that I did not receive. There is other correspondence that isn’t included, either. Then there is the matter of the materials that were requested that the Coast Guard denied having. That was the subject of the appeal submitted for April 28. While the respect I have for my many friends and acquaintances who have served in the Coast Guard has not diminished, my respect and admiration for the senior command officers of the service has certainly been seriously diminished by the details revealed thus far. They have blood on their hands for contributing to the destruction of one of their own service's most historic and accomplished cutters. The first few pages (page 1-12, originally 25-37 of the CG PDF) of this section are the GSA Auction documentation for the ship’s listed sale, as well as additional information and correspondence between the concerned ship recycling expert, the Coast Guard, Christopher Rollins of EPA Region IX in San Francisco and the GSA. The points about the legality of the sale and export related on suspected PCB contamination based on the ship’s age and construction are important reads. Page 14 (originally 38) - A brief Q&A format for questions the CG received from various parties re: the National Register of Historic Places and a question regarding PCBs. The CG was asked by John Rayfield of the Coast Guard and Maritime Transportation Subcommittee why STORIS was listed on the National Register when the CG intended to dispose of the ship. The CG explained that the STORIS Museum nominated the ship and otherwise claims that they (CG) complied with the National Environmental Protection Act of 1969 and Nat'l Historic Preservation Act of 1966 (16 U.S.C. 470). I have an inquiry out to determine whether the CG truly complied with the NHPA. If a federal property is found to be eligible for the National Register, the agency is responsible for nominating it through Section 110 of the NHPA (16 U.S.C. 470h-2), which can be found here: Section 110 of the NHPA. The CG did not nominate BRAMBLE as a result of her designation as NR-eligible prior to decommissioning in 2003 (I did that in early 2012). The Coast Guard did not nominate ACUSHNET or STORIS when they were designated eligible (again, I nominated STORIS in late 2012). The CG did not comply with federal law as they did not nominate STORIS for the Register, nor did they take steps to encourage the ship’s preservation since she had a national level of significance. Passively storing the ship at the Suisun Bay Reserve Fleet, in my opinion, does not qualify as taking active steps to ensure the ship’s preservation as a nationally significant historic vessel. I am working to determine whether the same Historic American Engineering Record that mitigated the disposal of the ship for Section 106 of the NHPA also releases the CG from the responsibility of nominating the ship for the National Register. The CG also again explicitly claims that STORIS was free of PCBs, with only asbestos and lead paint on board. Pages 15-19 (originally 39-43) include correspondence between the Coast Guard and Bob King, a legislative aide to Sen. Mark Begich. These range from memos sent during the STORIS tow to discussions prior to the export. His information regarding the STORIS Museum was incorrect as the Museum and Last Patrol had provided the necessary deposit to bid on the ship. Since the auction was winding down without the reserve price having been met, the Museum did not bid because it was the understanding that the ship would not be sold if the reserve price was not met. It was believed the ship would be relisted. Instead, less than 12 hours after the auction closed without the reserve having been met, the ship was awarded to U.S. Metals Recovery of San Diego. The information and rationale behind that quick disposition will have to be sought in the outstanding GSA FOIA due to be released in June. There are some alarming comments made by Mr. King. There is a comment that validates our proposal to move STORIS to Ohio rather than Alaska. As the project became protracted, it was becoming more and more obvious that while there was grass-roots enthusiasm from STORIS veterans and average Joe and Mary Resident of Alaska to bring the ship home, there was no interest from the politicians and officials. There were serious concerns from our perspective about the politicians in Juneau and that apparently was well founded, even up to the state level. Among the correspondence between the Coast Guard and King, it is claimed that the GSA offered STORIS for free to the state (which had to be Alaska at that point) and the donation offer was turned down. If that was the case, we could have gone to the State of Ohio to seek donation of the ship. We were not given the option. This will either be borne out in the GSA correspondence that I am told will be coming in late June or I’ll have to FOIA the state government of Alaska for related documentation. It’s an upsetting revelation, however, and the first I’ve heard of such a proposal. I also don’t appreciate the following from June 28, 2013 from King to the Coast Guard, the day after the ship was sold. “…You know I wasn’t going to stick you guys with having to hold onto this old crate any longer, especially when everybody else is trying to whack away at your budget, but I’m sure not happy that piece of history like this is going to be melted down and probably sold to China. Forgive me for venting on a stormy Friday. Old crate? Really? Asked for the bell? That belongs to the Coast Guard, which is legally obligated through the Memorandum of Agreement with the Alaska State Historic Preservation Office from 2006 to protect and preserve key artifacts from the ship. This would include the bell, builder’s plate and Northwest Passage plaque. Those items have yet to be positively located and moved to a proper display location to honor the ship and her crews since the Federal Government couldn’t see fit to allow us to save the entire ship. A proper display location would be a true museum facility and not a bar in Juneau. And expressing a desire to negotiate directly with the scrapper, when we were in the process of scrambling to do so ourselves? So much for being in the ship’s corner and assisting the nonprofits in trying to save the ship. Speaking for myself and myself alone, I seriously question the integrity of the so-called assistance we were seeking from Begich’s office with this kind of insider discussion. Pages 20-22 (originally pp. 44-46) – There is additional discussion about PCBs >50ppm not being on board, or in enclosed compartments. Again, the CG is emphatic that there were no PCBs on board above 50 ppm. Also the CG disputes the statement from an electrician’s mate, a member of the last crew, about the presence of undocumented wiring that we believe contained PCB-containing materials. The CG maintains the wiring would not contain PCBs. This section ends with correspondence on how the Coast Guard is going to respond (and coordinate with other complicit agencies such as GSA, MARAD and EPA) related to the ship’s sale and export. This includes the environmental section within the Coast Guard and once again their flimsy documentation claiming the ship was free of regulated PCBs. This was prompted by an email I sent on the Monday following the STORIS’ departure from Suisun Bay to Attorney Franklin Parker at MARAD, Attorney Avi Garbow at EPA and RADM Frederick Kenney at the Coast Guard. This email is Part 4 of the CG Release (click here), separated because they left in information that needed to be redacted. This section is a copy of correspondence sent to Ohio Congressional representatives from The Last Patrol Museum Group of Toledo. This message contains critical information that was forwarded to STORIS Museum and The Last Patrol from Jay Barrett of KMXT radio in Kodiak. This information was sent as a pass-through. It was originally received as a news tip sent to Mr. Barrett by a representative of a major U.S. ship recycling company who had read about the STORIS’ sale and pending export to Mexico in an AP wire story. The wire story originated with Jay Barrett’s news stories detailing STORIS' imminent export. The ship recycling expert recognized the illegality of the STORIS export and attempted to bring it to the attention of various government officials within the Coast Guard, EPA and GSA but was ignored. If the ship recycling company is forced by the federal government to comply with federal laws related to environmental concerns and ship recycling in the U.S., what makes the U.S. Federal Government exempt from following those very same rules they impose on the ship recycling companies? The STORIS export could potentially be a precedent-setting loophole or backdoor for the government to get rid of ships that don’t meet environmental standards. This message did make its way to the STORIS Museum and to me late on Saturday, Oct. 26, the night after STORIS’ tow left the SBRF. It was this message that prompted the last ditch efforts to save the ship which has now evolved into this effort to find the truth about STORIS’ sale and export. As explained elsewhere, STORIS was in otherwise excellent physical condition, the haz-mat on board was contained and she would have made an excellent museum ship and training vessel. On May 2, 2014, I received a release of information from the U.S. Coast Guard related to STORIS and my Freedom of Information Request from Nov. 4, 2013. Not counting the already described “partial release’ from the Coast Guard of dubious integrity that I received on Feb. 27, it took just shy of six months to get a response. Even then, it falls short in many ways. In many ways, however, some of the information that was turned over is revealing and revolting. There is no doubt that anger will be shared by many. The GSA release is yet to come. As this information gathering continues, it is clear that we never had a chance to save STORIS for preservation, even before she was illegally excessed, illegally sold and illegally exported to Mexico for scrapping. This is another long series of posts, but if you care about STORIS, I urge you to read this as there are details that need to be known. Encourage your shipmates, family, friends and others to read, too. The documents from the Coast Guard were accompanied by a cover letter that indicated that information was redacted for privacy issues following established procedures in the FOIA laws. While it is understood for various documents that were generated because of private citizens inquiries to Congressional offices on behalf of the ship, there are some serious questions as to the validity of redacting other names from the documents. Many of the redacted segments involved the names of various Coast Guard officers/officials who would be considered public officials. As such, they would have no expectation of privacy. The pursuit of this information is related to their actions and decisions made in an official capacity as members of the Coast Guard associated with the handling and disposition of STORIS. Their names should be public as well as their roles in the ship’s disrespectful disposal. The names of several other officers, with ranks as high as RADM, are not redacted. Why? This goes back to the previous discussions about President Obama’s directive for Open Government and Atty General Eric Holder’s subsequent memo: “While recognizing that the "disclosure obligation under the FOIA is not absolute," and that the FOIA contains exemptions to protect, for example, national security, personal privacy, privileged records, and law enforcement interests, the Guidelines stress that the President has directed agencies not to withhold information merely to prevent embarrassment, or because "errors and failures might be revealed, or because of speculative or abstract fears." I had to go through to redact MY personal information from a couple pages before posting to the Internet. It’s swell that the Coast Guard officers involved try to keep their hands clean in this issue, but it’s okay to release personal information from private citizens. As a result, the original 70 pages, while released in one PDF document, have been broken into five documents. The only changes made were to redact my contact information so I could post the information. The cover letter points out that my request fell below the $14 minimum for payment requirements, so the FOIA was released at no charge. (Of course, then you have EPA, which was going to charge $767.75 for one FOIA request at one point and then GSA who demanded $10,266 for its FOIA…) Click here to read the cover letter. The first few pages are letters from Congressional representatives supporting the ship’s donation for museum use. Page 6 lays out the excessing process through GSA. We have subsequently learned that STORIS should not have been excessed through GSA as her displacement exceeded 1,500 tons (40 U.S.C. 548). The process of excessing and selling STORIS was a violation of Federal Law. There are strong suspicions that STORIS also contained undocumented materials that contained regulated levels of PCBs, which would also have made the “distribution in commerce” of the ship from the Coast Guard a violation of Federal Law. This was discussed in the review of the Environmental Assessment performed on the ship (and ACUSHNET) prior to her decommissioning and elsewhere within other posts. Pages 12 generally outlines the circumstances through which the ship was disposed. 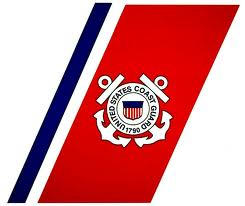 The Coast Guard claims that the ship was free of regulated PCBs based on a memo from Jan. 17, 2007 that was a simple cover sheet for a 2000 Hazardous Material survey conducted on the ship. The legitimacy of this PCB abatement process is highly suspect as has been discussed in other posts. There has been serious concern about the 2000 Haz-Mat survey and its obvious avoidance of the areas of the ship where PCBs would most likely be found. Other than a short PowerPoint presentation and a brief mention on a Jan. 17, 2007 cover letter, there is no supporting documentation to prove that ALL of the encapsulated PCBs were removed from the ship. More on that cover letter in a moment… The letter also lays the determination of the bidder and timetable for the removal squarely with GSA. However, it is our understanding that the Coast Guard was not pleased with the timetable and may have even requested through GSA that the sale be nullified because the ship was to be removed by early July and instead, remained at the Suisun Bay Reserve Fleet until Oct. 25. The Coast Guard was in a position to have to continue paying for mooring costs at the SBRF. This was later revealed in the documentation to be around $51,000. So that would mean that three, possibly four months of rent at the SBRF would come to $12,750 to $17,000. Who paid that, the CG or the buyer, U.S. Metals Recovery? The GSA documentation is crucial to understanding a lot of these issues. The remainder of Part 1 is the questionable Haz-Mat survey from 2000, with the last document being the cover letter from Jan. 17, 2007. Strangely and suspiciously, the first line of the cover letter has been redacted out. WHY? The redacted paragraph serves as the whole foundation upon which rests the Coast Guard’s whole argument for the ship being free of regulated PCBs. Why would the Coast Guard redact that paragraph, again especially considering those few words form the basis for their defense that the ship was free of regulated PCBs and therefore not in violation of the Toxic Substances Control Act and other Federal laws that regulate/prohibit the transfer and export of PCB-containing ships through the Federal Government? In preparation for the posting of the Freedom of Information Act information received from the Coast Guard, this information bears reposting once again. 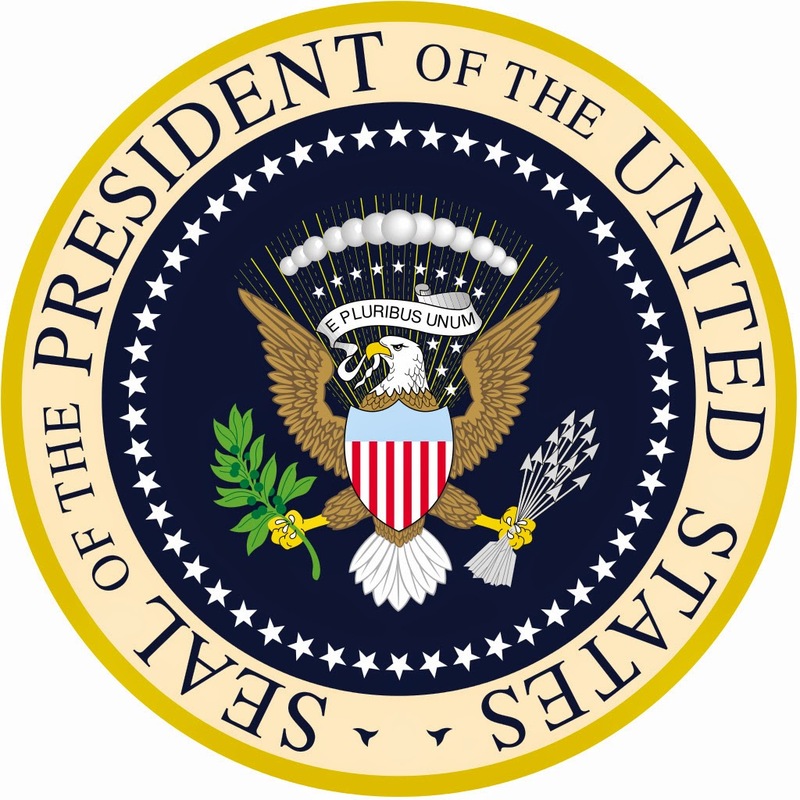 In 2009, President Barack Obama announced that Federal Agencies were to err on the side of openness when it came to Freedom of Information Act Requests. "The Government should not keep information confidential merely because public officials might be embarrassed by disclosure, because errors and failures might be revealed, or because of speculative or abstract fears." As explained, the information requested in all of these Freedom of Information Act requests is of great public interest. We have seen CGC STORIS, a nationally significant historic ship, designated as a historic resource worth preservation by listing on the National Register of Historic Places. STORIS was exported for scrapping in Mexico as a direct result of the actions of several U.S. Federal Agencies and a shady "metals recycling" company. It has already been established that there are illegal aspects of this situation. We deserve to know the truth. The people responsible work for US, the American taxpayer, and they are not above reproach nor are they above the law. Their actions are open to scrutiny and criticism and they need to face accountability and responsibility for what they’ve allowed to happen. This obstructionist pattern of actions by the various agencies involved, blocking our attempts to secure information related to STORIS is certainly NOT ERRING ON THE SIDE OF OPENNESS. This is our government withholding the truth. While I suspect when we learn the truth it will be ugly, we deserve to know the truth, nevertheless. I finally received 70 pages of paperwork Friday from the U.S. Coast Guard regarding my FOIA request from November. I am currently working my way through it and hope to post it within the next few days. Going through it on first review, I am sorry to say that the more information that I gather, the more it becomes obvious to me that we never had a chance to save the ship, even well before she was even (illegally) excessed and sold. As outlined in earlier posts, there have been two Freedom of Information Act requests submitted to the U.S. Environmental Protection Agency for information related to CGC STORIS, her illegal sale and her illegal export to Mexico for scrapping. At 5:35 p.m. on Friday, May 02, 2014, I received an email from Lynn Kelly of the EPA General Counsel’s Office. This is an update to my request for a fee waiver associated with the second STORIS-related FOIA I had submitted on Feb. 17. The EPA’s initial response to what I believed was a valid, thorough and well-worded request was “messed-up,” to put it politely. Long story short, the EPA denied the fee waiver request Feb. 26 from their position that releasing the information would not be of public benefit, also citing that the methods in which I planned to share the information would not be sufficient to meet the fee waiver criteria of the FOIA laws. The goofy circumstances of EPA’s response to this FOIA, it’s filing and the fee waiver rejection were posted to Facebook on Feb. 26 and can also be found here on this blog. Following the bureaucratic runaround my initial request received, I submitted an appeal dated March 21. Despite the fee waiver denial issued in February, I ultimately received much of the requested information on April 15 and did not receive an invoice or bill from EPA. (This is the release accompanied by a cover letter stamped MARCH 15, a full month off. This is another ludicrous aspect of EPA’s response.) I have until May 15 to appeal and will be submitting that letter shortly. However I already have the information I requested and wasn’t billed for it. Yet EPA is apparently still trying to decide whether or not they should waive the fees for the request after I’ve already received the documents? Wait. It gets more complicated than that. The problem is that the FOIA in question was dated Feb. 17, a month and a half after I already knew the STORIS Museum Web site was shut down and no longer existed. I never said anything about the old Web site in the February FOIA request as the new Facebook USCGCSTORIS: Life and Death of a CG Queen page and the new Web site www.uscgcstoris.net were already up and running. I explained that these new Facebook and Web pages were created specifically to disseminate the information being sought from the EPA, Coast Guard, General Services Administration and Maritime Administration. Since then, there has been an additional source set up as a Google Blog at www.uscgcstoris.blogspot.com. I also pointed out in the appeal that Danielle Ivory, an investigative reporter with the New York Times, was interested in the STORIS situation as well as Senator Mark Begich of Alaska and House Speaker John Boehner of Ohio. There were several other nonprofit policy and environmental groups I also cited as recipients of the information being sought. This matter, I explained, is clearly a matter of public interest and my level of specificity for the supporting reasoning was more detailed than the original request in order to validate my argument. The verbiage of the May 2 fee waiver denial also does not address the more specific explanation of the appeal. Did they even bother to read the appeal? Who knows? Did they contact me to ask for clarification in the interests of open and transparent government? Then where did the reference to the STORIS Museum Web site and Facebook pages come from? What appears to have happened is that EPA has confused paperwork and appeals I submitted for the February FOIA request with appeals for the original request that I submitted on Nov. 4, 2013. On the afternoon of Jan. 17, I received a final fee waiver denial for the original FOIA request. 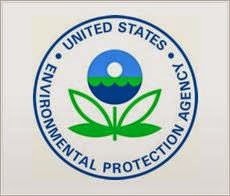 That fee waiver denial is located here: http://goo.gl/70RRJX The process of the EPA FOIA submission was outlined on Facebook Feb. 21 and is also posted here on the Google Blog site. Ultimately, the fee waiver for the first FOIA became moot, as EPA supposedly missed an internal deadline and ended up notifying me that I wouldn’t be charged for the information. That email notification is here: http://goo.gl/KXEdS3. Since the materials were also simultaneously released to Danielle Ivory of the NY Times through her identical FOIA request granted for public benefit release, I shouldn’t have been charged anyway. I knew that I had seen the particular verbiage about the STORIS Museum sites somewhere else and had to go back to the original fee waiver denial from January to recognize where it came from. So the May 2 letter denied my fee waiver for the February FOIA based on information from the other request and appeals made weeks earlier. It leaves me shaking my head. Again, did they even read the appeal I submitted for the Feb. 17 FOIA? It’s also significant that a final denial from was based on paperwork from the wrong appeal. The bureaucracy is maddening. It’s just not as maddening as what was allowed to happen to STORIS, so we carry on. As far as the original FOIA, that process is still underway but at a more advanced stage. At 5:41 p.m., May 2, I received a second FOIA update from EPA, just a few minutes after the message described earlier. This update was related to the first FOIA request from Nov. 4 and is notifying me that EPA requires an extension to continue reviewing the file. It would be nice if the description of what they are reviewing would have been included. I'm sure that I'm not the only person with multiple FOIAs through EPA. My guess is that the outstanding appeal being reviewed for the original request is related to withheld and redacted information that EPA removed from the released information. I have sent an email for clarification. It would be helpful if they would have been specific as to what the agency was referring to, since there are multiple files open related to STORIS and it seems as though every time a different region, department or official within EPA gets involved, the tracking number appears to change. EPA has changed the control/tracking numbers for the FOIAs on more than one occasion, which makes it difficult to keep tabs on which files they are reviewing, especially since I wasn’t notified of the number changes and had to physically look them up on the EPA’s online FOIA database to figure out to which files they were referring. Again, I’m apparently applying too much common sense and asking too much. All of these issues raise questions about the internal communication and policies at EPA. They also raise some serious questions about how EPA is handling the process and release of information that should be public related to STORIS and the government’s complicity in allowing her destruction. We deserve to know the truth about what happened to STORIS. The EPA is in the news again regarding some internal communications obtained by the Washington Times that show that the agency reportedly did not follow appropriate procedures in regard to a proposed mining project in Alaska. From our perspective, the issue is not whether or not the mine would be a good or bad project. That is beyond the scope of what this project related to STORIS is about. Instead, it exposes a situation where the EPA reportedly did not follow established protocol and the procedures that are in place for a government agency. It brings another set of allegations that there are people working for the Federal Government who operate outside of established rules to follow a personal, political or agency agenda. That's the parallel.